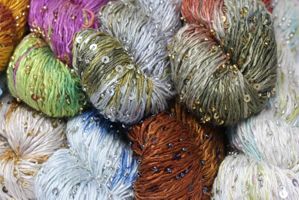 102 Yards of the most Gorgeously handpainted cashmere in a worsted weight side by side 5-Ply yarn. There is just nothing like pure cashmere. 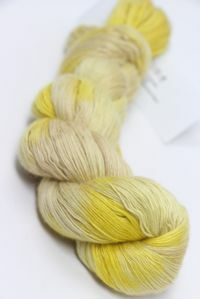 Artyarns Worsted Cashmere is unique among cashmere yarns - it is a 5-ply Side-By-Side - That means, to make this worsted weight yarn, Artyarns takes 5 laceweight strands and combines themto create a worsted weight strand. You'll see it looks like its lace, but when you open the skein, you will reveal a worsted-weight cashmere that knits up on us 7 or 8 needles like nobodies business. The stitch detail is stunning - and the softness of this incredible italian cashmere is in a class by itself. The personification of a luxury fiber. 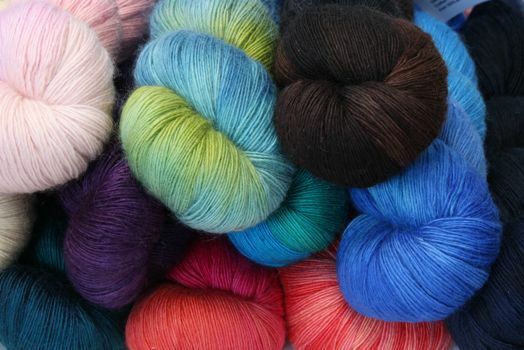 You may special order any stock color, or any color Artyarns makes using our CASHMERE 5 SPECIAL ORDER PAGE, (2 Skein Min) and we'll rush order it for you. Special orders generally ship withing 3 - 7 days. We'll keep you posted!